Paymo and Time Doctor both are time tracking tools but they are very different in their approach to Time Tracking. Let’s check out some of the similarities and differences between these tools. Paymo is used by individuals to record time entries with start and end times. Tracked time can be assigned to clients and projects. Paymo is more focused on project and tasks management and billing of clients. 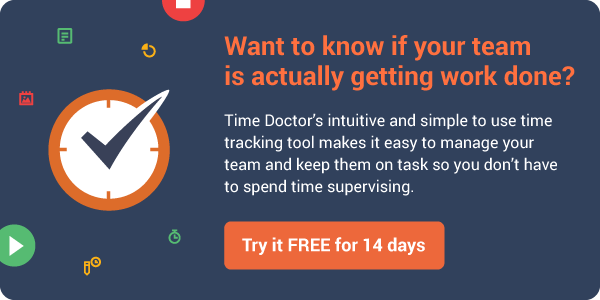 Time Doctor is used by individuals as well as teams to track their time. 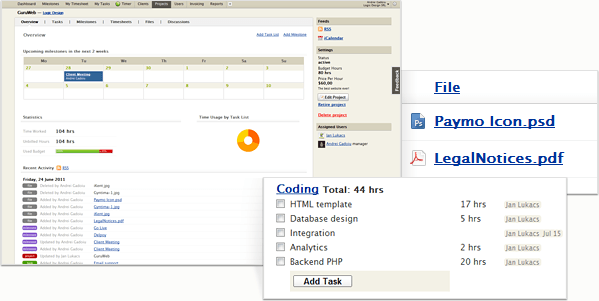 Tasks can also be assigned to projects. However Time Doctor is less focussed on project management and more focused on time management and productivity improvement for organizations. 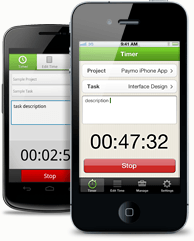 Paymo and Time Doctor both have the ability to track time on a mobile phone. For Paymo the way the mobile app works is to choose the Project and Task, start the timer and the information gets automatically updated to Paymo dashboard. With Time Doctor the mobile app is orientated towards trying to make sure that all recorded time is accurate. For example there is a reminder to make sure if the person forgets to press the “Stop” button it will remind them and ask if they are still working. Both Time Doctor and Paymo can be used for project tracking. Paymo has a number of project management features such as discussions and milestones. 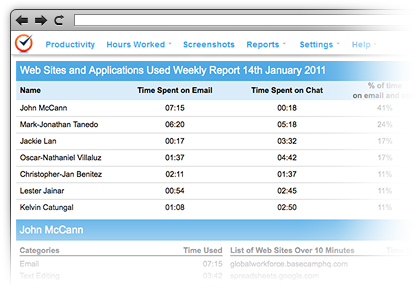 Time Doctor records application and Internet usage for all users during work time. Managers and individuals receive a report, once per week, about the time spent on emails, chat, websites visited and the applications used. Paymo has no such feature to track applications used or websites visited by the users. Paymo provides detailed features to track for a project expenses and bill them to a particular client. Similarly, invoices can be created manually as well as automatically from the time stored in timesheets data. Estimates can be created for the clients and once approved then estimates will be converted into invoices. Additionally, Paymo provides the functionality to create recurring invoices for the clients that are billed on recurring basis. This is done by clicking on the checkbox next to “recurring” and then entering a start date, the frequency, and the number of occurrences. Paymo has another very useful feature to connect to online payment gateway. This option allows the clients to make payments directly from the invoice. When invoices are created after setting up the preferred gateway, the clients get the option to click “Pay Online” at the top of each invoice. Once the invoice is paid online, it will be automatically marked as “paid”. Time Doctor is orientated around making sure that all time tracked is completely accurate. For example there are several reminders to track time and time away from the computer is automatically noted as “Away from computer” time. This way managers can get an accurate picture of how much time is spent on and off the computer. 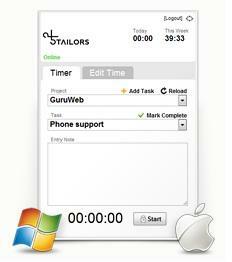 Time Doctor has multiple other features to ensure that time tracked is accurate. These are: Automatic tracking and recording of time worked on and off the computer, recording time spent on websites and applications on the person’s computer, recording activity (frequency of keystrokes and mouse movements) of the person on their computer and also screenshots of the person’s computer screen when working. What are the main differences between these two tools? Really Paymo.biz is more of a project management and invoicing tool with time tracking for this purpose. 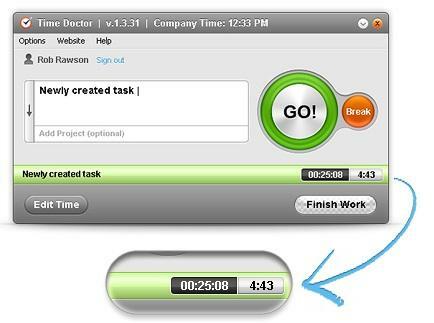 Time Doctor uses time tracking to ensure that time worked is accurate and that team members remain productive. It’s more of a tool for managing and tracking productivity in remote teams, and can be used in conjuction with other project management tools such as Paymo or Asana or Basecamp for example.